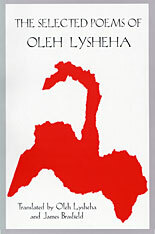 Oleh Lysheha is considered the “poets’ poet” of contemporary Ukraine. A dissident and iconoclast, he was forbidden to publish in the Soviet Union from 1972 to 1988. Since then, his reputation has steadily grown to legendary proportions. His work is informed by transcendentalism and Zen-like introspection, with meditations on the essence of the human experience and man’s place in nature. The Selected Poems here include facing-page English and Ukrainian versions of selected poems and a play, Friend Li Po, Brother Tu Fu. It represents a rare example of translations that are as beautiful as the original poetry and poems that anyone interested in the written word will appreciate.